Physician practices may be lagging behind hospitals when it comes to implementing clinical coding software. Physician practices may be lagging behind hospitals when it comes to implementing clinical coding software. The hesitation to do so is costing them not only efficiency in coding, but reimbursements withheld due to avoidable errors. Computer assisted coding software essentially acts like spell-check in a Word document: it runs the information input by the coder through a database of possibilities, and can alert the coder if they have made a mistake, or, if additional documentation could potentially code the chart to a higher specificity. This leads to a bigger reimbursement and a bigger payout to the physician. So, why are practices resisting the new technology? The short answer is, upfront cost. Even though there have been demonstrated benefits to ROI with the use of computer assisted coding, some physician practices are still hesitant to make the move, especially now that ICD-10 has been pushed back a year. Audits Have Slowed; The Perfect Time to Optimize Your Clinical Coding? The success of a practice is directly correlated with their use of coding technology. With more efficiency and accuracy, the potential for greater reimbursements and fewer audits is a reality that most practices can’t afford to lose out on. Within the last six months, there has been a suspension of Recovery Audit Contractors (RACs) requests for audits. 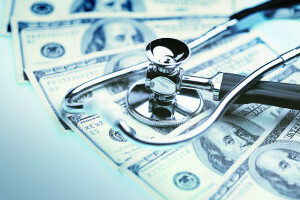 Previously, the RACs were able to take back an overwhelming number of physician reimbursements because of coding errors; many of which could have been prevented by the automated error checking system of coding software assistance. Even though the RACs are on hold for now, physician practices that resist technology won’t be able to keep up with the demands of payers—especially when ICD-10 finally makes it’s way into the day to day lives of medical billers and coders. That being said, coders and physicians need to be mindful of documentation challenges. Computer assisted coding can make it very easy to “upcode” – especially if the documentation supports it. But, if that physician is audited, and the medical decision-making really doesn’t back up the diagnosis, they will likely face tough crackdown from the auditor. This fear weighs so heavily on physicians’ minds that they often document in such a way that actually ends up costing them reimbursements that they are entitled to. This balance is hard to achieve, but computer assisted coding can help practices and their coders strive to achieve balance.